Born at Waco (Texas) in 1941, Robert (Bob) Wilson studied at the University of Texas and Brooklyn’s Pratt Institute before taking an interest in sculpture and architecture. This was followed during the 1960s by various theatrical experiences in the United States, in university circles and in his own Byrd Hoffman School of Byrds. One evening in 1970, at the university festival in Nancy in France, his immense talent erupted with Deafman Glance, a stunningly beautiful stage work conceived around a deaf-mute child. The European reputation he gained as a result was subsequently confirmed by A Letter for Queen Victoria (1974), Einstein on the Beach (1976) to music by Philip Glass, Death, Destruction and Detroit (1979) and, in 1983, his epic the CIVIL warS. During the 1980s he turned to mainstream opera. His stagings of Salome at La Scala in Milan, Lohengrin at the Met in New York, Madame Butterfly at the Paris Opera and Parsifal at the Hamburg Opera demonstrate the radical originality of his approach. His creative genius is expressed simultaneously in the most varied fields: painting, furniture, installations and of course the theatre with, in 1995, a memorable Hamlet in the form of a long monologue that he himself performs. 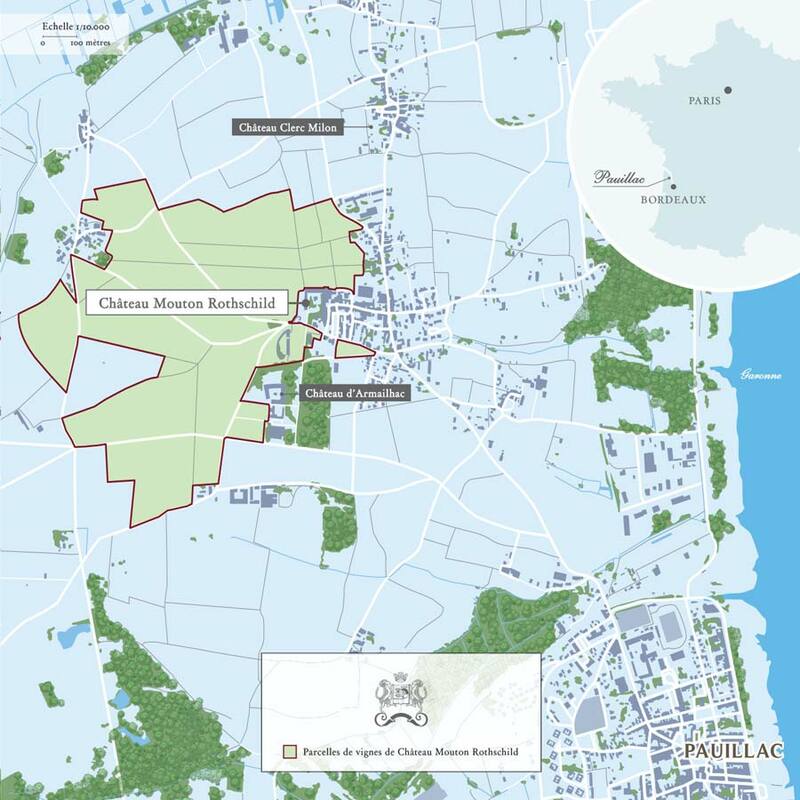 He has founded the Watermill Centre, near New York, a theatre laboratory for which he is the motive force, bringing together both students and professionals. The work of this incomparable poet of the image, and his influence on the contemporary stage, have won him many prizes and awards around the world. For there is a Bob Wilson “style”, the result of an extraordinary mastery of light, colour and gesture, which combines the hieratic forms of stage tableaus with an intense emotional charge. The visions he proposes follow one another with a fascinating slowness, in combinations and to a rhythm that draw the spectator into a strange universe, at once dreamlike and meticulously constructed. Whether bringing his own works or someone else’s before the public, Bob Wilson is always unique. 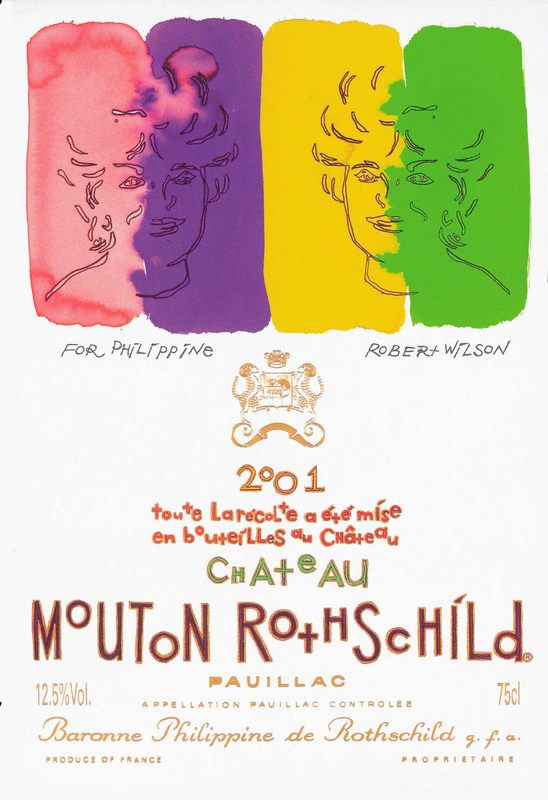 For the label for Mouton Rothschild 2001, Bob Wilson has chosen to set his friend Philippine in a symphony of colours in which the green of the vine shoots and the gold of the sun harmonise with the chromatic scale of the wine, from light red to deep purple.